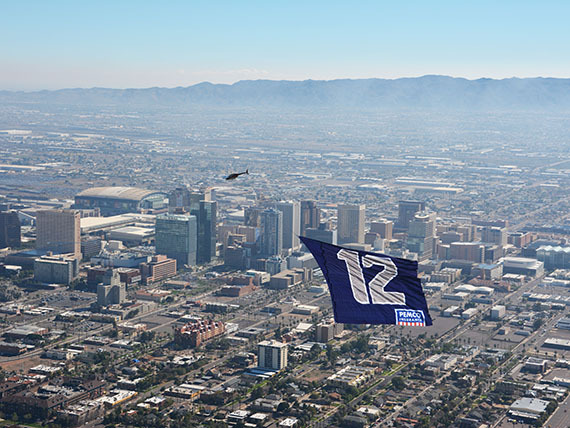 Massive banners can be towed by a plane or helicopter. The sky-high buzzing and whirling sound makes people look skyward. The vivid colors and message keeps their eyes focused on you. 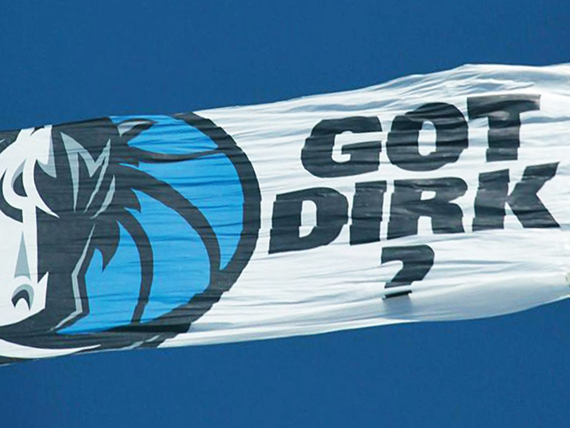 Choose from Aerial Billboards, Letter Banners, Logo Boards, Helicopter Banners, and Personal Banners. Not sure which to choose? Call us at (888) 645-3442 to discuss the option that fits you best. Cut Through the Clutter – The average adult is exposed to over 5,000 ads per day with only 12 of those ads making an impression – be the one that they remember. Helicopters and Planes – We can fly very, VERY large banners across the sky with either a plane or helicopter. We have a wide range of sizes to fit your budget and needs. 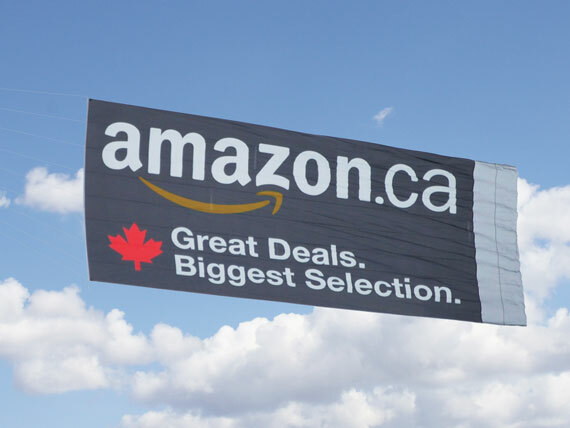 High Quality Banner Materials – To maximize your advertising investment, our aerial banners are produced using the highest quality materials available. This gives the banner longer life so it can be used again and again. Integrate and magnify traditional or digital marketing campaigns – Magnify and measure the impact of your campaign by integrating them together with our Boost program. 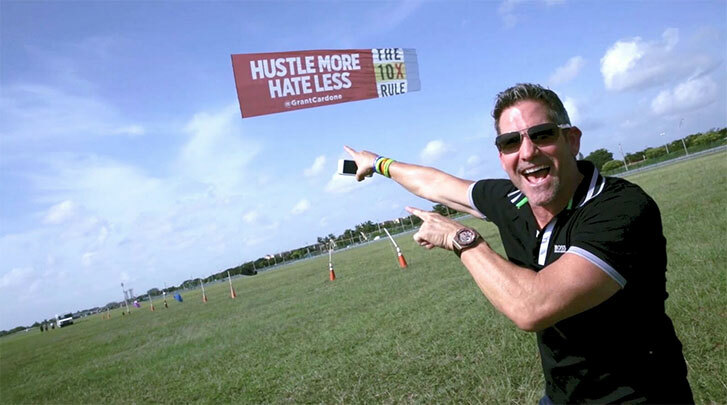 How Effective is Airplane Banner Towing? 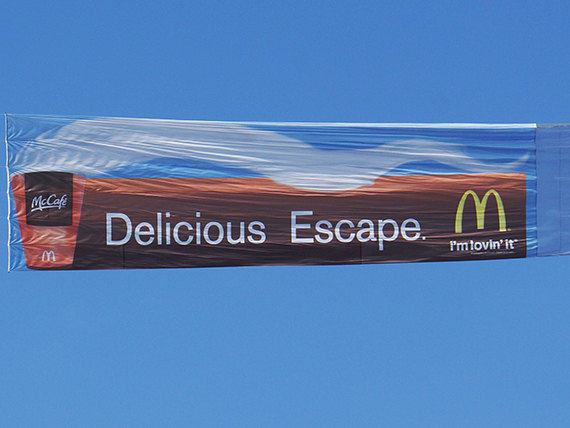 Aerial advertising through airplane banner towing is the only true mass-medium left in a world of fragmentation and diminishing returns. Businesses have the flexibility to fly in one or multiple markets, simultaneously or in succession. Banners are produced on the highest quality materials, re-usable and can be shipped anywhere in the world. Live GPS tracking is available on request.